Working on this on the side. An old model I busted out a few months ago in an effort of studying certain elements of a face. He's deliberately goofy and cartoon-looking. 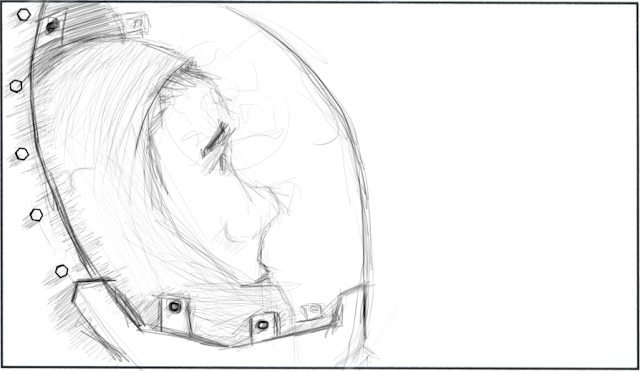 Here's my previs sketch of the Astronaut.